HOMEREDI Stonework and Masonry services includes all aspects of masonry including natural and paving stone installations. We use over 200 varieties of natural stones from quarries around the world as well as best quality paving stones. We work with local, out of state as well as overseas stone distributors so that we can provide you the best quality materials available for your next project. 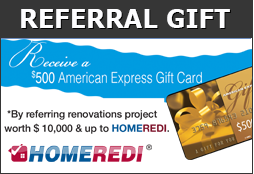 At HOMEREDI, our primary goal is to ensure that our clients’ vision comes to life every time. Our philosophy from inception has always been to team up with our clients in creating the most elegant outdoor settings envisioned while keeping in mind that each project needs to be delivered on time and within the specified budget. HOMEREDI Masonry projects will enhance your property value and provides a life time of pleasure for your family and visiting friends.